← A good PH makes all the difference! Bwana Mbogo and Twiga depart…. 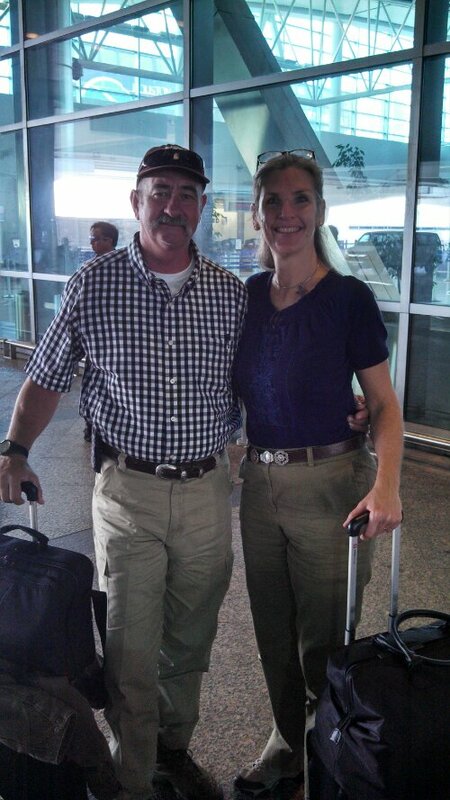 ….To their Africa trip in their travelling outfits and carry-on only luggage for two week trip. Conclusion: dressing in Africa during safari is much simpler than day to day back in the US! Resolution: Purge closet of clothes and dress like in Africa.